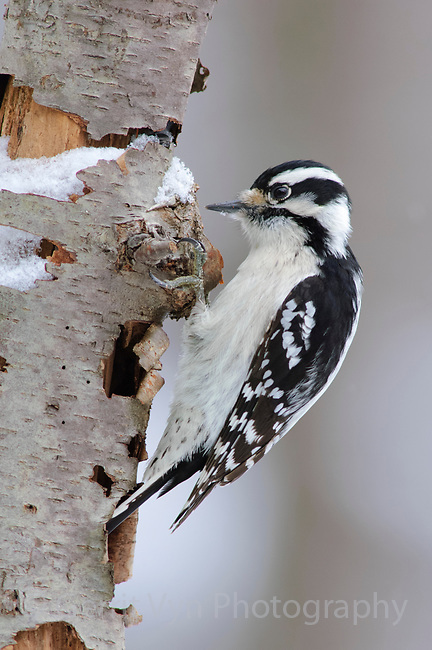 Adult female Downy Woodpecker (Picoides pubescens) foraging on a decaying tree. Tompkins County, New York. February.